Digital Trends has a list of movies that received a “rotten” rating on the critic aggregator Rotten Tomatoes but deserve another look. While I don’t agree with every choice (“Europtrip” is pretty bad) and some are uneven (“Troy”), I strongly endorse the inclusion of two great movies, “The Secret Life of Walter Mitty” with Ben Stiller and “Defiance,” with Daniel Craig and Liev Schreiber. And if “A Knight’s Tale” is on cable, I usually find myself watching it. Previous PostPrevious Is Movie Language Finally Getting More Civilized? I love this interactive map of London movie locations! 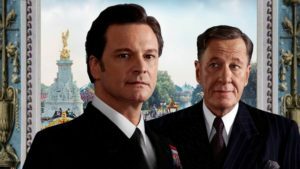 Sherlock Holmes, “My Fair Lady,” James Bond….this will make you want to watch and rewatch, so get your Netflix queue fired up! Indiewire has put together a list of the best movie comedies of the 21st century — so far. Of course, lists are just the way to start a conversation/argument, not definitive, and it’s debatable whether some of these even count as comedies, but it’s a good reminder as you look over the possibilities on streaming services. Electric Literature has a delightful piece about the best bookstores in movies and books. People who write books love bookstores, and the ones they imagine are very enticing. “You’ve Got Mail” is all about bookstores, and this one is perfect — and just about to disappear. I’m sorry to say that I am pretty sure the big bookstore driving her out of business has probably since been itself eclipsed by Amazon.